Often times we get questions about custom made stamps-- although Unity does NOT offer custom stamps-- we have a sister company that does! The same HIGH quality deeply etched red rubber stamps that you know and love! 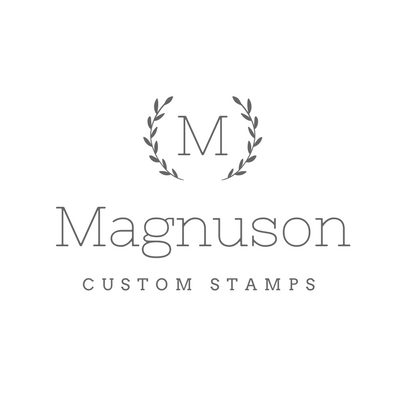 From address Stamps to 'handmade by' stamps for the back of your cards-- Magnuson Custom Stamps has you covered! Check out all of the designs available HERE.